We have nine self storage locations in the US. 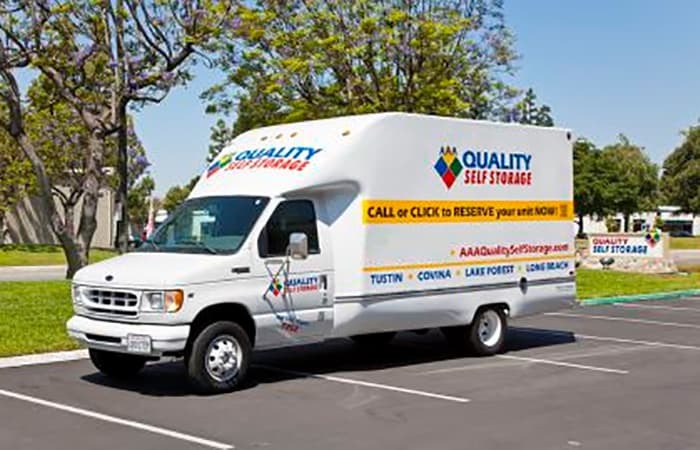 AAA Quality Self Storage has multiple locations in Southern California, the greater Los Angeles metro area, and Reno, Nevada. Whether you live in Tustin, Sun Valley, Lake Forest, Stanton, Long Beach, Covina, Norwalk, Carson City, or Washoe Valley, you’ll find that our facilities are close at hand. We have the best amenities around, and we promise to serve you and your storage needs in the most friendly, experienced way possible. Call us or drop in today to learn more about how AAA Quality Self Storage can make your next self storage project easier than ever. We do require mandatory coverage on your stored goods, and offer a very affordable protection plan which satisfies this requirement. Most of our facilities have a moving truck that you can use when you move in! Why pay to rent a moving truck, when you can use ours for free? Make your move easier and do it in one trip. Our trucks come equipped with an appliance dolly and have a convenient loading ramp. Contact us today to reserve a truck for your move. Certain restrictions apply. Call the AAA Quality Self Storage location near you for availability and details.